What would it be like to have no feelings? No desire, no anger, no pleasure? 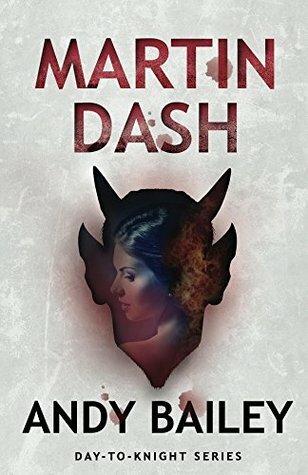 Behold Martin Dash. A man who possesses stunning features that captivate all who encounter him but is also cursed with a medical condition that means he has no emotion to give in return. But one woman is convinced that there is something behind the apparently blank façade and sets out on a dark trail to uncover the haunted past that holds the key to the mystery; a journey that takes in politics, criminal finance, London's neo-burlesque scene and, finally . . . murder. Martin Dash is the first book of a trilogy that relates the bizarre experiences of a young man whose life was always destined to be terrifying as well as exceptional. They had only just arrived at the club, having spent a couple of hours in the bars around Soho first by way of a warm-up. Evidently they had just missed an act as the stage hands were clearing away the detritus: various lurid-coloured items of women's underwear, feather boas, and what looked to Susan suspiciously like dildos – several large ones – again of lurid colours. There was also a reddish liquid splashed about the stage, which was now being cleared and dried up. Susan thought that must have been a hell of warm-up act – the crowd was still buzzing and there was a crackling atmosphere in the room. The audience was an unholy mix of young professionals, out for some deviant kicks to leaven their otherwise dully shiny careers – sorry, lives; bohemian types with long ringlet hair and multi-coloured waistcoats; leather and denim-clad bikers trying to out-mean each other; genuine freaks of all shapes and sizes (the noisiest group); and a general morass of hard-core, seasoned Soho dwellers identifiable from their black clothes, white pallor and studied nonchalance. The one thing common to all was that they were, to a man/woman/in-between, heavily drunk. Everyone was nominally at one of the small circular tables that arced in rows around the stage and terraced back towards the bar and side walls, the last two rows being at slightly higher elevations. But the tables weren't holding them as many were up on their feet, moving from table to table, or simply meandering about the place, entirely without purpose. There was a heavy disco track bumping away in the background and some were swaying along; others were simply hollering and screaming randomly; and amorous couples were pawing at each other, obviously over-stimulated by what they had already seen. The whole scene pulsed with a throw-caution-to-the-wind, end-of-the-century, wild abandonment that was itself intoxicating. The numerous drinks already downed by Susan and Carol were, in any event, doing their remorseless damage but the two adventurers were also being carried along by this heady atmosphere. They looked at each other again and simultaneously burst out laughing together. "Wow, what a place!" shouted Susan above the din. "It's awesome!" shouted Carol, happily. They clinked their glasses together and took another ill-judged glug. Their table was a couple of rows back from the front of the stage, not centre but more towards the wall on their right as they faced the stage. As Susan's eyes tracked along the row of tables up against the wall, she noticed that there was a larger table at the end nearest the stage that was empty (in fact, it must have been the only empty table in the place) but it was roped off with the red tasselled rope beloved of egotistical club owners the world over. She presumed, matter-of-factly, that this must be Michael Green's table but he didn't appear to be in the house this evening. Through the alcoholic haze, the common sense voice told her it was obviously naïve to assume that she only had to turn up at one of his many business ventures and expect him to be sat waiting for her. But still, she was disappointed. However, that disappointment didn't have time to linger for, at that moment, the swell of noise suddenly increased to a roar of approbation and she spun her head towards the stage just in time to see the entrance of a sparkling, throbbing vision in a full-length red sequined fishtail dress, bare shoulders, huge cleavage, full length black satin gloves, big blond hair, stacked black eyelashes and pouting fire engine red lips – a picture of voluptuousness. This was The World Famous *BOB*. Andy Bailey is a British writer residing in deepest Staffordshire ('the Creative County' . . .) His principal claim to fame as an author (so far) is the creation of Martin Dash and his recurring theme is the absurdity and futility of human endeavour (unless you're on double time) and his writing seeks to explore the strange motivations that drive the endlessly entertaining members of the species, homo sapiens.